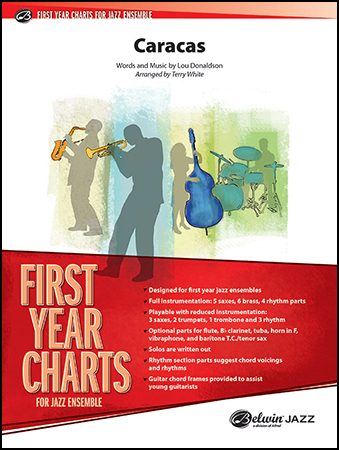 This Terry White chart on a relaxed Lou Donaldson bossa nova favorite is just right for young jazzers. Brief written or improvised solos are for trumpet, trombone and alto sax. 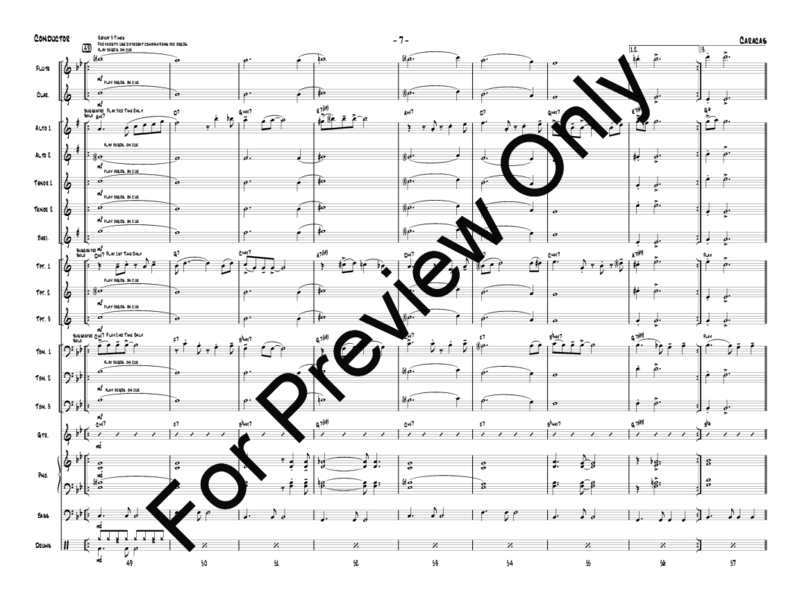 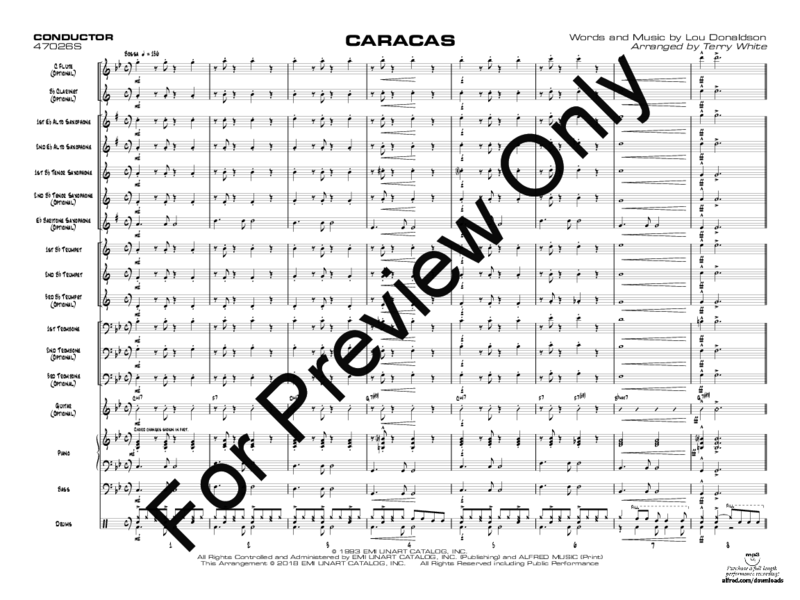 Played around 136 bpm, it has a catchy melody with great harmonies, easy brass ranges, and lots of optional parts to include flute, clarinet, and vibraphone. It's also playable with optional reduced instrumentations. Great for change-of-pace programming!